Steve Harris, vice president and general manager of Dell‘s federal systems group, has recommended federal chief information officers instill a “future-ready mindset” among employees to facilitate the implementation of the Federal Information Technology Acquisition Reform Act. “A future-ready organization will spend less on maintaining legacy systems; focus more on agile, responsive IT; and support a productive, mobile workforce,” Harris wrote in a Federal Times article published Wednesday. “The CIO needs the force of the entire agency to drive success; IT modernization requires a cultural change as much as a technological one,” he added. 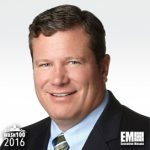 Harris, an inductee into Executive Mosaic’s Wash100 for 2016, also noted that CIOs should seek feedback from federal employees and roll out a marketing campaign that would inform them about the advantages of IT reform efforts through FITARA implementation. 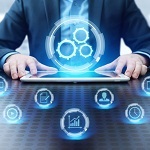 “CIOs gain a much greater insight into the types of IT modernization solutions best-suited for their organization if they truly understand the needs of the people that keep it running,” Harris said.